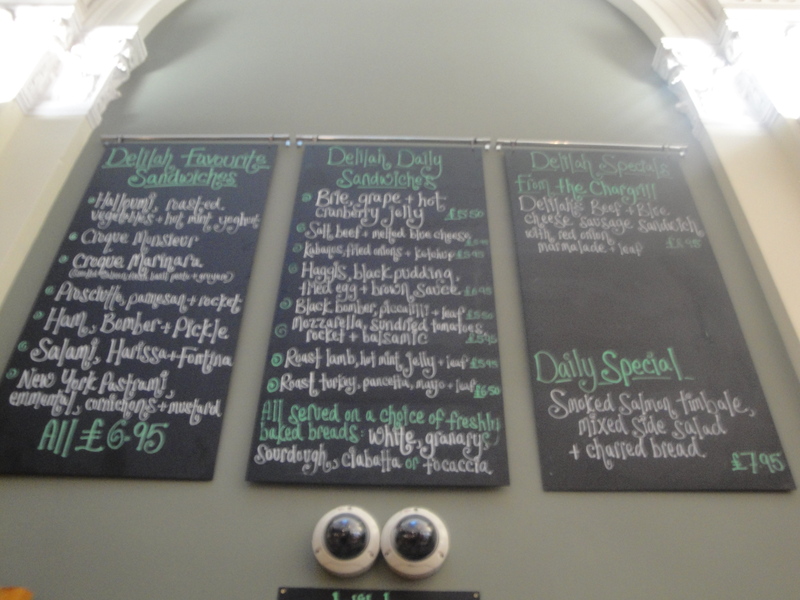 Delilah in Nottingham- ‘Great Food, Great Deli’. Don’t ask “Why, why, why Delilah…” I just told you! 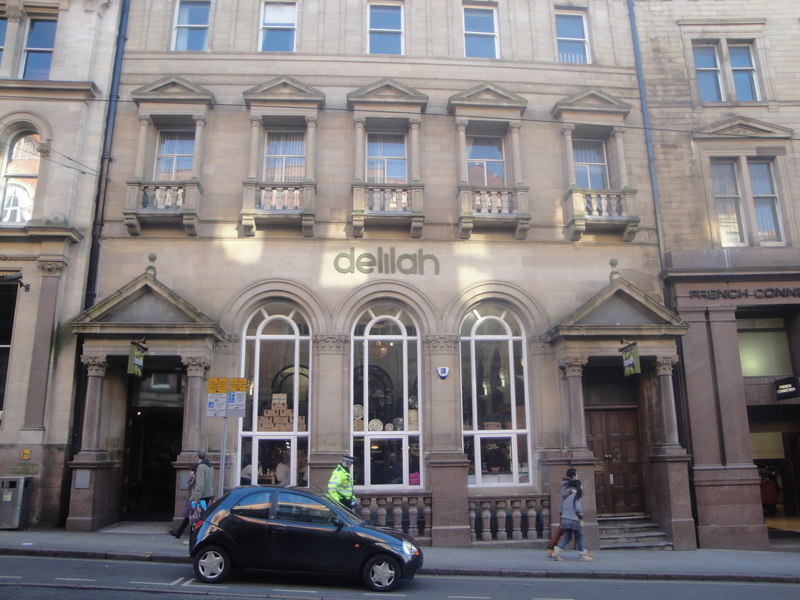 Delilah is on Victoria Street alongside the tramline between the Lace Market stop and the Old Market Square stops. 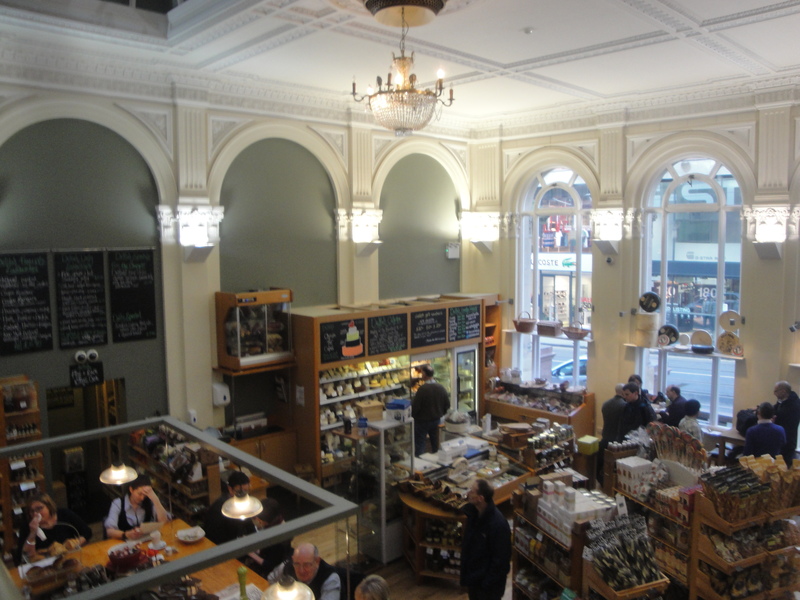 It is in the old bank building that has been occupied previously by the HSBC Bank, and before that the Midland Bank, a really lovely grade II listed building that has been converted inside to a bright, airy, light space. All the stories I have heard about their food, plus my curiosity, were easily enough to encourage me to pass over it’s doorstep to take a bite on this Friday lunchtime. Inside there is a large deli section on the ground floor and a small square bar area that you can sit at, plus a few small tables by the window. Those tables and bar stools are pretty much a free for all, upstairs on the mezzanine is a larger open room with waitress service. We got there just at 12 o’clock and got a table with no trouble, but 10 minutes later people were having to wait as the place had quickly filled up. I have heard that there maybe a 20-30 minute wait at the weekend for a table, but there is often a seat at the bar. So make a plan, or just just take a chance. 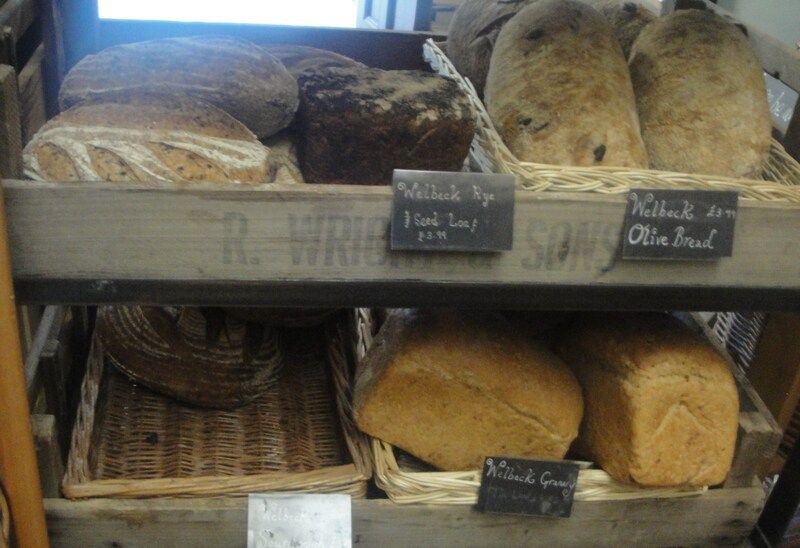 We sat up on the mezzanine overlooking the deli, and we could just about read the daily specials on the chalkboard. There was a good selection, sadly there were more options that I wanted to try, than there was going to be space in my stomach, so we just had to restrict ourselves to choosing two sandwiches to split. In itself that was quite a work of negotiation and a heart aching or was that a belly aching decision. 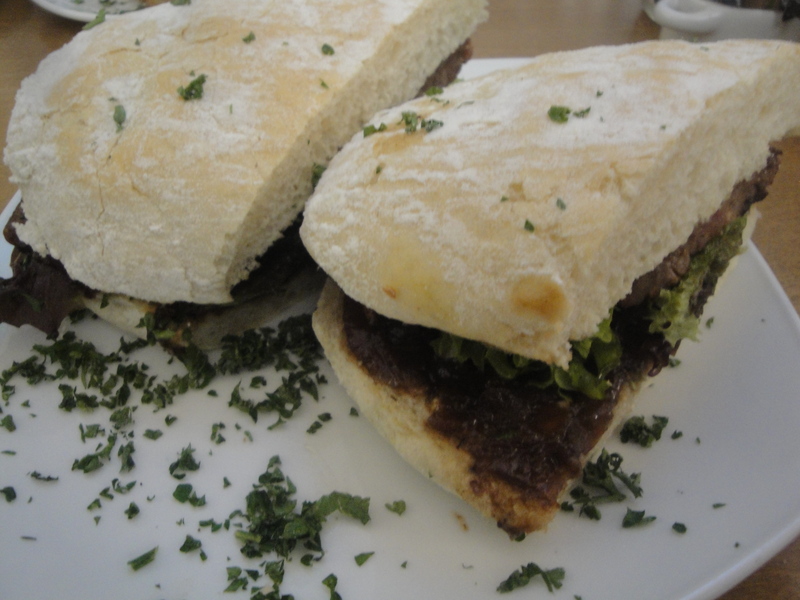 The first choice was a Roast Lamb sandwich, with hot mint jelly, and leaves for £5.95 on granary bread. For some reason I had it in my mind that this was going to be a hot sandwich, but it was not. As it happened that did not matter it was just as good with cold lamb. The heat came from the mint jelly which at first seemed quite tame, but by the end of the sandwich it was quite a warming accoutrement. 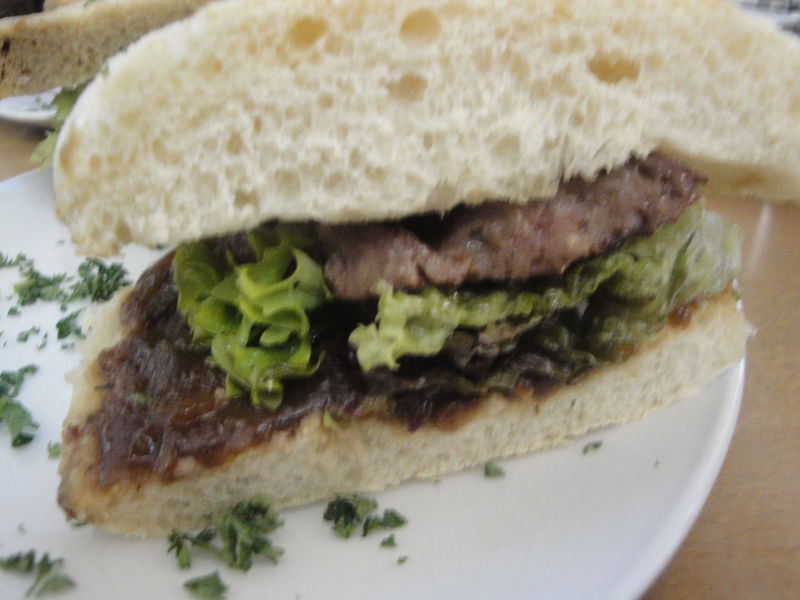 The lamb was good but the best bit of the whole sandwich was actually the bread, soft, slightly malty with a good firm crust. 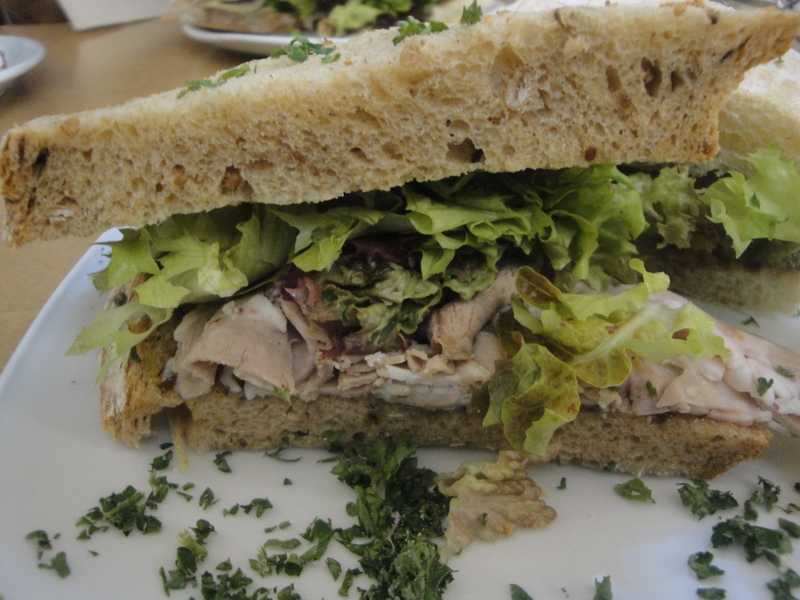 Delilah’s is not just a great place to get at sandwich or a plate of food. 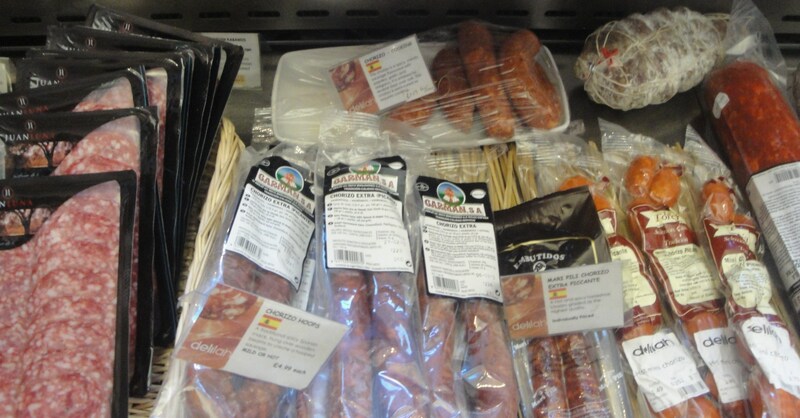 It is also well stocked deli with a lot of really good produce, meats, cheeses and breads. 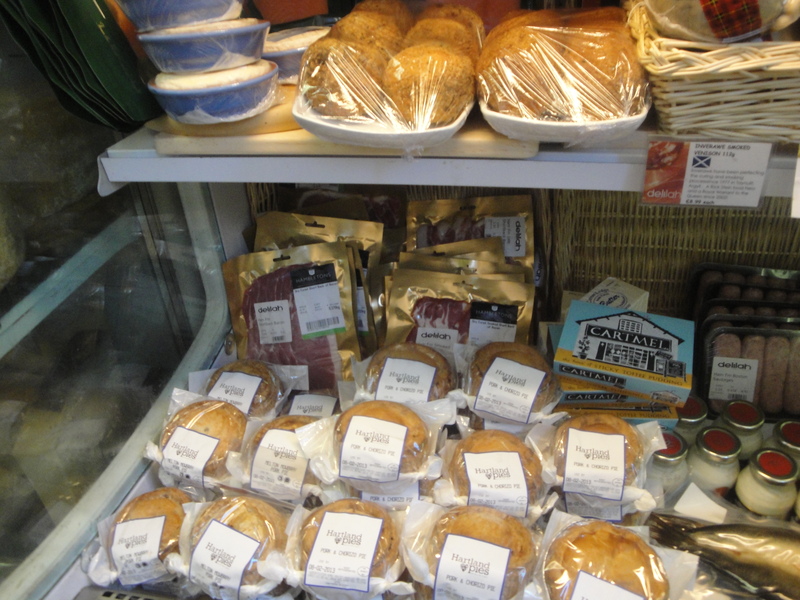 There was a cooler section with scotch eggs for which I had to fight hard to resist the temptation, there were Hartland pork pies, which are delicious, great loaves of fresh bread made with Welbeck rye, all sorts of smoked sausage and chorizo links. Do you like blue cheeses? if you do then you are going to love the selection that they have at delilah’s, without listing them all I ran my eyes along the shelf and noted Ribblesdale blue, Lincoln blue, Exmoor blue, Barkham blue, Shropshire blue, Blacksticks blue, Swaledale blue, Strathdon blue, Colston Bassett stilton, Smoked stilton, and the list goes on and on. 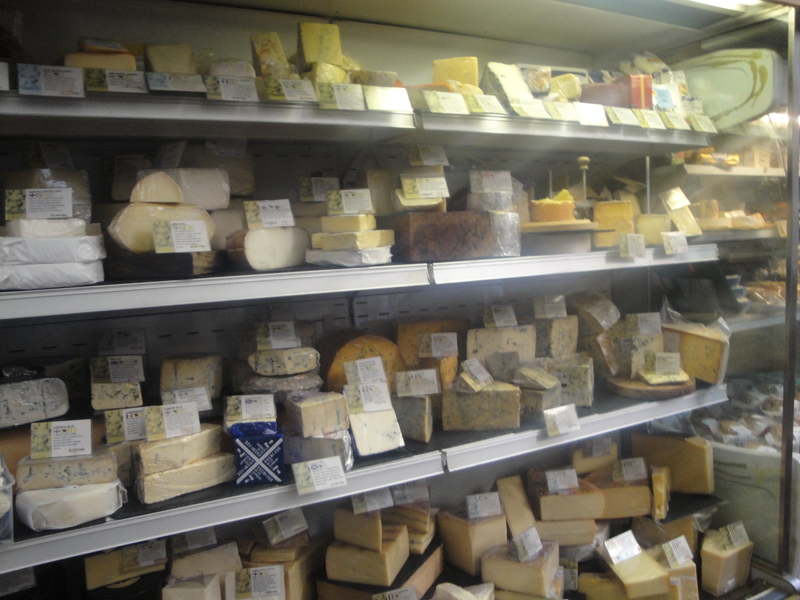 I think that you can see that they take their cheeses seriously here. 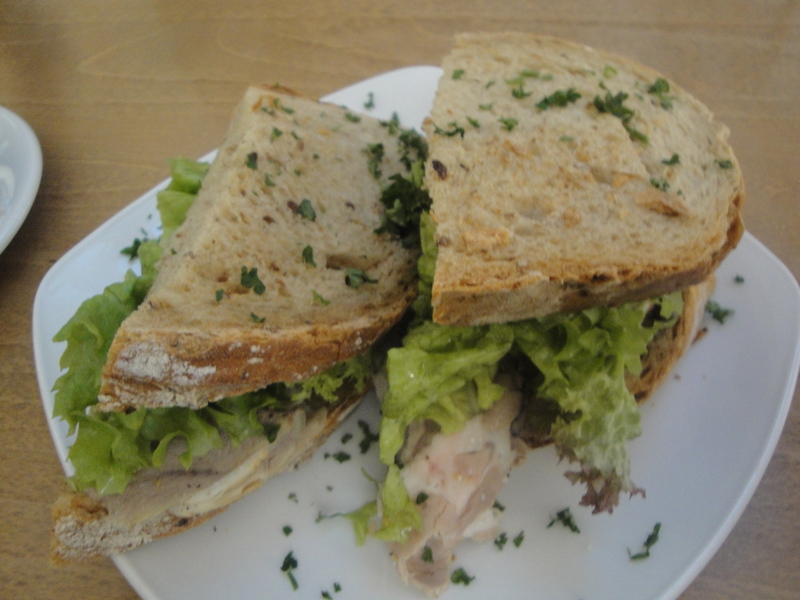 I really enjoyed my trip to delilah’s, the sandwiches were more than ‘great’ and I loved browsing through their deli sections. I think that I should leave the last words to Delilah, I honestly think that they describe themselves better than I can.